What are their outfits made of? 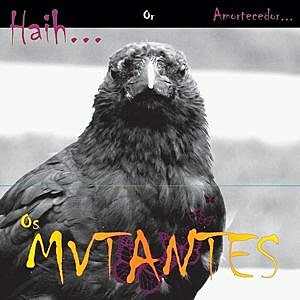 Founding frontman Sergio Dias Baptista and his new incarnation of the near-mythical Os Mutantes have signed with ANTI- Records with plans to release Haih – their first record in 35 years – on September 8th. 2006 saw a reunion of sorts, with the band playing a handful of shows in London, New York, the Pitchfork Festival in Chicago, San Francisco and supporting the Flaming Lips at the Hollywood Bowl in Los Angeles, but it is the release of Haih in September that will mark the band’s first recorded material since 1974 and their very first album to receive a worldwide release. Conceived by Sergio Dias with collaborations with other Brazilian legends Tom Ze (lyrics) and Jorge Ben (who wrote the song “Minha Menina”), Haih is a vibrant and timely return from one of world music’s most important bands. Check out a “Teclar,” a track from the forthcoming release, above. Anti Records is also now home to Alec Ounsworth and Kyp Malone. Os Mutantes are accompanying their new record with a series of upcoming tour dates. Those include a show at NYC’s Webster Hall on Thursday, October 8th. Tickets are on sale now (at noon).